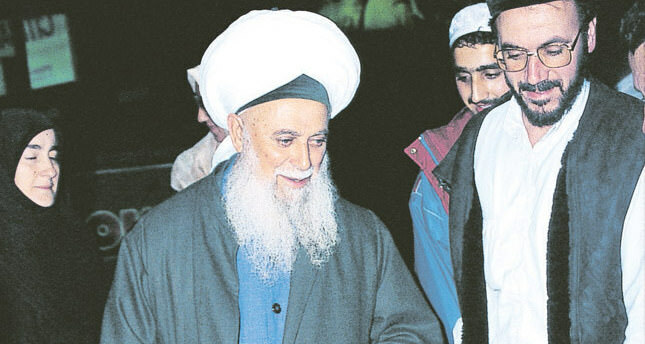 Şeyh Nazım Kıbrısi, a world-renowned Turkish Cypriot Muslim scholar, died yesterday at the age of 92. Kıbrısi was hospitalized on April 17 for kidney and lung failure and his condition reportedly worsened earlier this week. He had been receiving treatment at the Yakın Doğu hospital in the Turkish Cypriot quarter of Nicosia. His doctors in past days had refuted earlier reports of his death, though at the time they admitted he would need to remain in intensive care. A funeral prayer was held for Kıbrısi yesterday afternoon and he was buried in his dergah, or Muslim convent. Turkish President Abdullah Gül and Prime Minister Recep Tayyip Erdoğan issued a message of condolence on the occasion of his death while Turkish Cypriot Prime Minister Özkan Yorgancıoğlu visited the late cleric's family and followers at the hospital. Kıbrısi, a prominent scholar from the Naqshbandi order of Islam, had a major following both in Cyprus and abroad. Born in 1922, in the city of Larnaca in southern Cyprus, Kıbrısi, also known as Nazim al-Haqqani, later lived in his in Lefke, a town in the north of the Cyprus. He studied chemical engineering in Istanbul and met Naqshbandi scholar Süleyman Erzurumi during his stay in Istanbul and turned to religious studies. Kıbrısi then travelled to Syria where he met his religious mentor Sheikh Abdullah Faizi ad-Daghestani who had many followers throughout the Middle East. In 1973, he replaced the sheikh and quickly gained a major following in Cyprus, Turkey and other countries. In the same year, he visited Europe and taught religion in the U.K., where most of his followers hail from. Kıbrısi first came to prominence in Turkey when he recited the adhan - call to prayer - in Arabic at a time the government had banned Arabic recitation and replaced it with Turkish. He was imprisoned for one week for defying the ban but continued reciting it in Arabic in various towns throughout Cyprus despite a wave of lawsuits. He escaped a long prison term when the Adnan Menderes government came to power in 1950 and lifted the ban. Kıbrısi also made headlines after 33 Chilean miners who had been trapped in a mine for more than two months following a collapse in 2010, visited him to thank for his spiritual support. Some miners claimed they had a vision of the Sheikh who urged them to stay strong and pledged that they would be rescued and survive. Kıbrısi said in 2011 that his son Mehmet Adil will succeed him as the leader of his order.